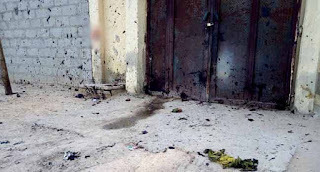 Two female suicide bombers were killed on Wednesday morning while attempting to attack a mosque in Borno State, North-east Nigeria. The Commissioner of Police in the state, Mr Damian Chukwu, confirmed this in a statement personally signed by him. He revealed the attackers tried to gain entry into the Alhaji Bunu Mosque during the morning prayers in Jiddari Polo general area on the outskirts of Maiduguri, the state capital. Mr Chukwu added that the bombers who were between the ages of 13 and 16 years were, however, prevented by the policemen on patrol and unarmed vigilante men also praying in the same mosque. “In the ensuing stampede, both bombers ran into an uncompleted building in the neighbourhoods, collided and simultaneously exploded, killing only themselves,” he said. The police commissioner affirmed that no other casualty was recorded in the incident. He noted that normalcy has been restored in the area and the remains of the girls have been evacuated. Chukwu also said the police and the EOD team deployed have sanitised and rendered the area safe.